In a strange twist astronomers are reaping the benefits of the US Government Spy Satellite program. 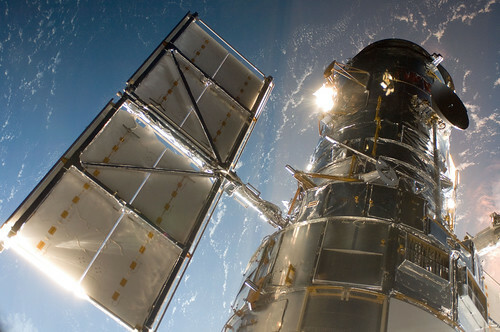 The spy agency announced last year that it was giving NASA two satellites with the same 7.9 foot-wide mirror that The Hubble Space Telescope has. Designed for looking down rather than up it’s estimated that it could pick out objects a mere 5 inches across. Throw in some computer processing and it might get down to 2.5 inches. Of course NASA has not shortage of ideas about what to do with their new toys but one of the more recent ideas is to ship this satellite to Mars for some unprecedented research of our red neighbor. You are currently reading Hubble-Sized Satellite Could Be on Its Way to Mars at Thomas Paine Rants.